Celebrating the parents-to-be in style is no easy party to plan. 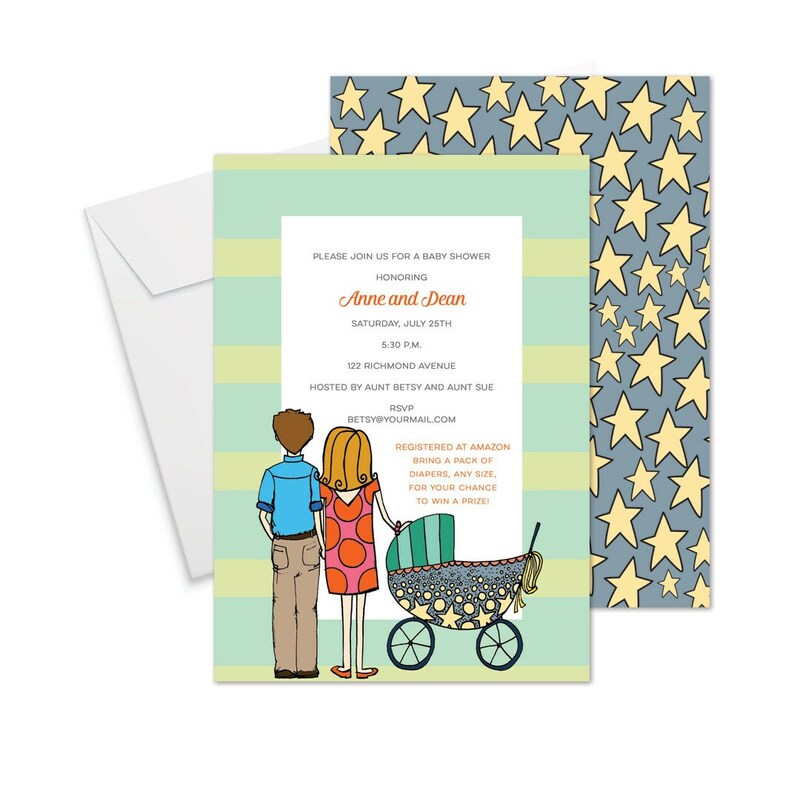 Start with this couples baby shower invitation for formal or fun celebrations. An instant keepsake to remember this special time. Also appropriate for a sprinkle or sip n' see.